The Cardiff registered vessel LAVERNOCK in Tilbury 23/6/88. 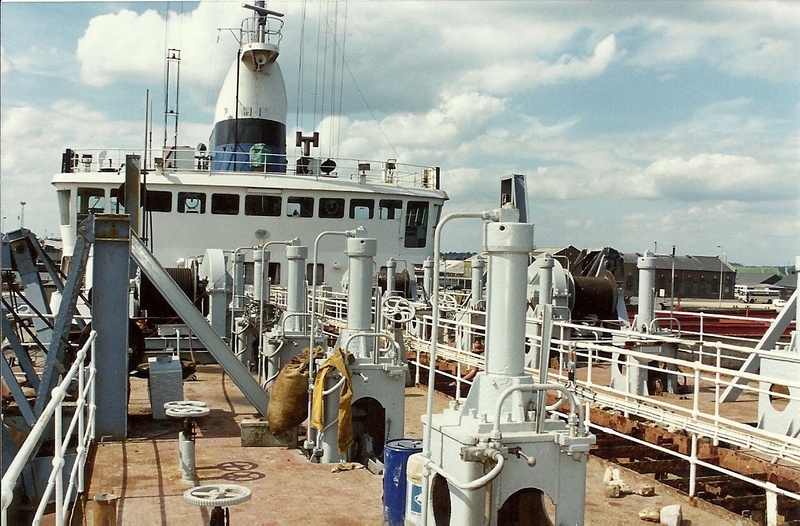 The suction hopper dredger LAVERNOCK (1982 tons gross, 2134 deadweight) was built in 1967 for British Transport Docks Board for service at it’s docks at Cardiff. 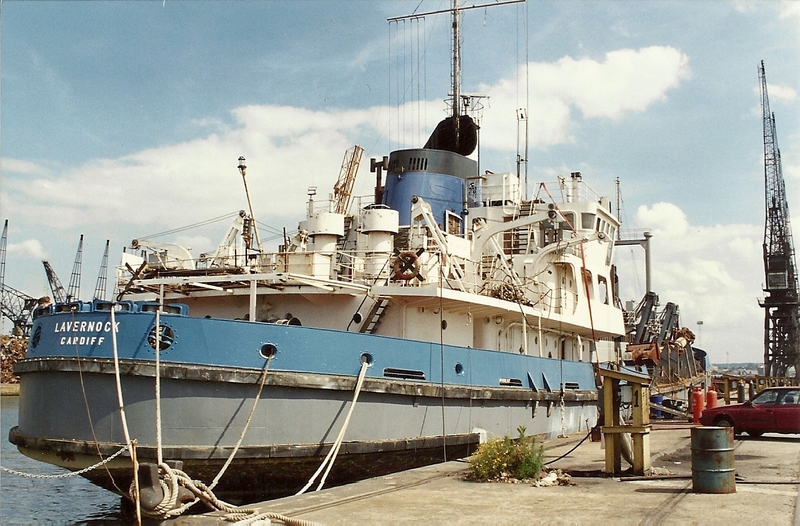 In December 1982, the vessel transferred to Associated British Ports, which was the successor to BTDB. 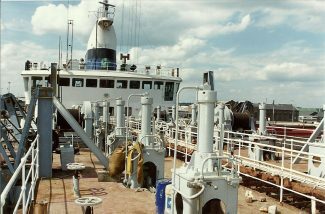 In July 1987, the dredger was sold to G C Richards Ltd, of Wednesbury, which did not appear to be much more than a broker, for in a few weeks it had gone to Trodell Dredging Ltd, of Ightham, Kent; it was when owned by that company that LAVERNOCK was photographed by Jack. Within two years it had transferred to the Maltese flag and was owned by Dragados Ltd. It was then to spend as many years in a distant location, as it did in the UK. In 1992 it was sold to Bangkok Port & Dredging Co Ltd and was renamed NISARAT. Although the dredger’s entry was, strangely, deleted from Lloyd’s Register book in 1994, it was definitely still in service in 2011, and apparently remains so.